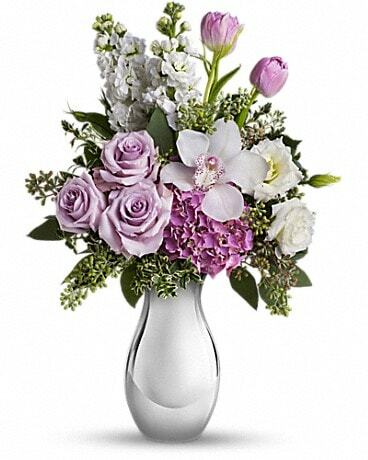 Take their breath away with the beautiful hello that this bouquet brings! 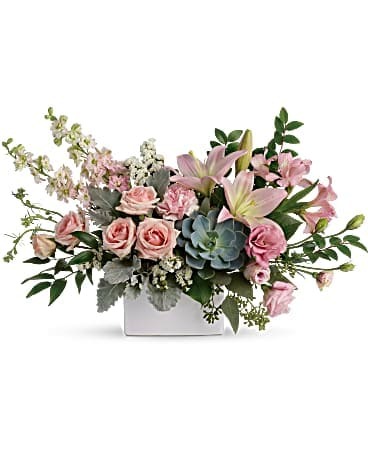 A wildly sophisticated array of pale pink roses and lilies with modern greens, it's perfectly presented in a simple white square vase. 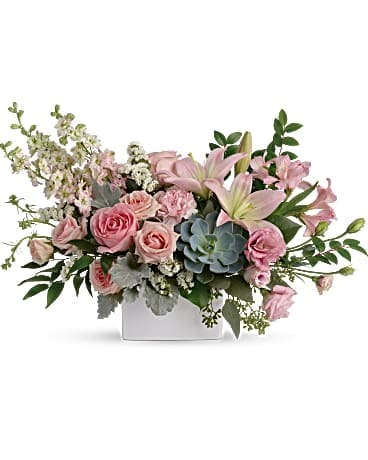 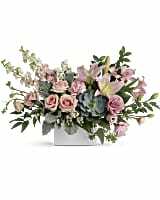 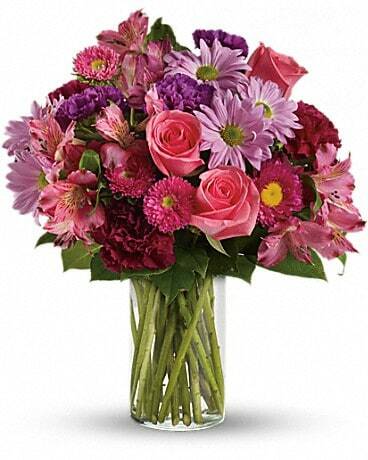 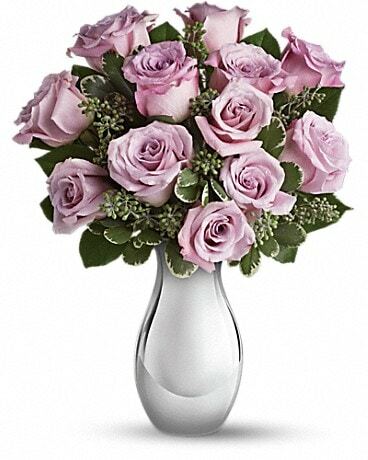 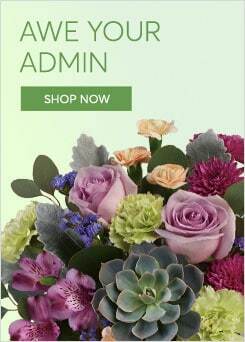 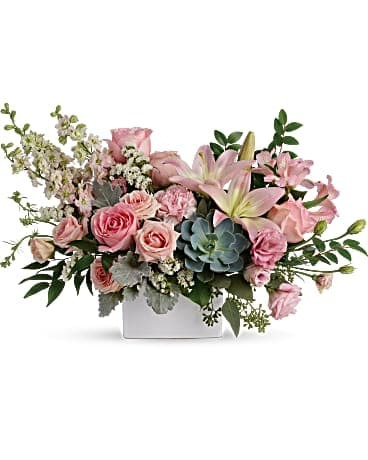 Call Burnett's Flowers at 918-834-5555 or 800-830-5554 to place your order.